Excellent audience recording, very listenable and clear. Nice balance of bass and treble, neither boomy nor piercing. Sorry, but the percussion on "Tears in Heaven" just wasn't working. Small spot of diginoise from the master at 1:52 in "Five Long Years", otherwise excellent. 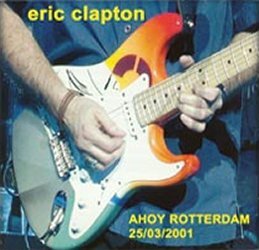 One of the better audience recordings from the European leg of the 2001 tour, Recommended.